NASCE A LIVORNO IL 22.01.1979, L’AMORE PER IL CANTO LO DEVE TUTTO AL NONNO, CHE LE HA TRASMESSO QUESTA PASSIONE E MOLTE SONO LE OCCASIONI CHE CANTA SOLO PER LUI, DA MOLTI ANNI STUDIA PERCHE’ VUOLE PERFEZIONARE LE SUE GIA’ OTTIME QUALITA’ MA DENISE, VUOLE SOPRATTUTTO CRESCERE ARTISTICAMENTE SEMPRE DI PIU’. 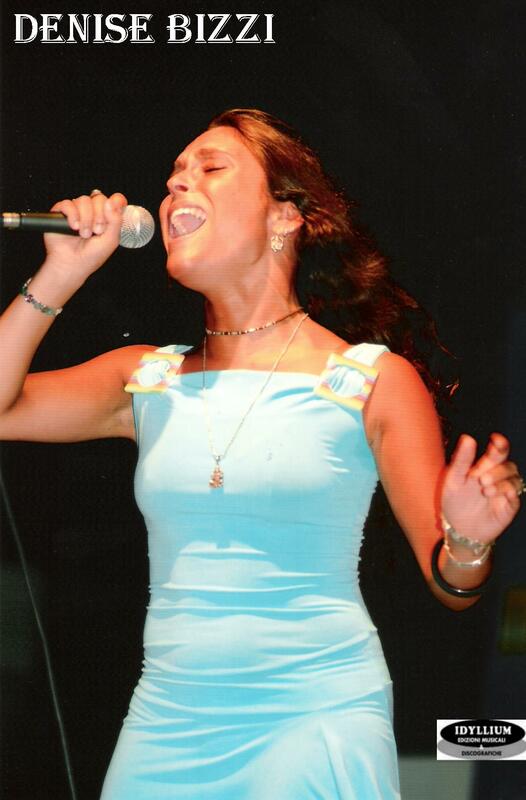 LA COSTANZA, BRAVURA E PROFESSIONALITA’, HANNO PREMIATO DENISE, INFATTI, SONO ARRIVATE LE PRIME SODDISFAZIONI CHE FANNO BEN SPERARE PER LA SUA CARRIERA DI CANTANTE, HA VINTO SVARIATE MANIFESTAZIONI A LIVELLO REGIONALI E NAZIONALI, NEL DICEMBRE DEL 2004, E’ STATA PREMIATA DA “GRAZIA DE MICHELE” COME MIGLIOR VOCE DEL 5° FESTIVAL NAZIONALE DELLA CANZONE D’AUTORE “DIS-CANTO” PATROCINATA DAL COMUNE DI PISA E LIVORNO, E’ STATA SELEZIONATA TRA PIU’ DI 100 ARTISTI E FRA 54 CANTANTI FINALISTI, SI E’ PIAZZATA AL QUARTO POSTO ASSOLUTO, CON UNA CANZONE SCRITTA DA CECCANTI/MICHELETTI. 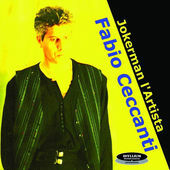 DENISE BIZZI, HA INTERPRETATO ALCUNE CANZONI SCRITTE DA CECCANTI E MICHELETTI, CHE SONO STATE INSERITE NEL NUOVO CD DI FABIO CECCANTI, “Jokerman l’Artista” PRODOTTO DA SABINO MOGAVERO E PUBBLICATO DALLA IDYLLIUM MUSIC PUBLISHING DI MILANO CHE HA STRETTO ACCORDI INTERNAZIONALI CON LA BLUE PIE PRODUCTION IN AUSTRALIA PER LA DISTRIBUZIONE NEI SEGUENTI PAESI: AUSTRALIA, U.S.A. UK. CANADA, NEW ZELANDA, GERMANIA E FRANCIA.